Recommendation for (smart) ear plugs? This is a weird one, but does anyone have recommendations for ear plugs to use at night against light traffic noise? I know its possible to get like smart noise-cancellation ones that needs to be charged and stuff. But that really sounds like over-kill. On the other hand, if anyone has tried something like that, I would love to get some feedback. I’ve got a pair of the Bose Sleepbuds, at first I didn’t like them - and now I love them. They block out noise really well, and the looped sounds lull me to sleep - and back to sleep if I wake up. For standard foam ear plugs, I like the Howard Leight brand. Either the Max or Laser Light models depending on fit and how much noise reduction is desired. Not sure outside the US, but they are available here at Amazon. I should note, the sleepbuds only let you use pre defined sounds in the Bose Sleep app, the selection is fairly large though! They also have a sleep timer feature (though with your traffic problem I’ll guess like me you would prefer the audio to play through the night), and they have an alarm too. Okay, I think I will try them out. I’m not actually really keen on however anything shoved in my ears while sleeping, although I have used just standard ear plugs from the pharmacy at times, especially when travelling. 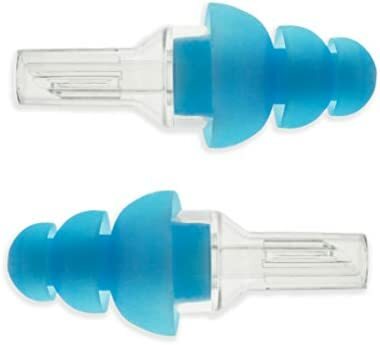 These cheap disposable earplugs (20 for $5) have an NRR rating of 33 (higher is better). I don’t know how much better those ER20XS earplugs mentioned above are compared to the tried-and-true ER20 models, but they’re pretty expensive - almost twice the price of the classic ER20. I used something like these during hunting season when camping next to a family member whose snoring sounded like a freight train. ABSOLUTE GODSEND, saved my sanity. I didn’t use these specifically, but I can say that regular foam earplugs from the pharmacy work great in most cases of moderate to light noise or snoring. A box of 30 is something like $4. I’d start with those, and if they don’t work to your satisfaction, you can move on to something else.